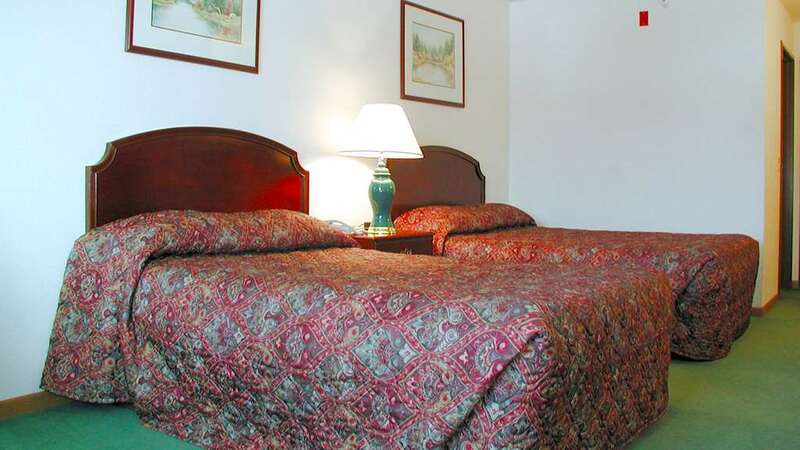 The Jasper Ridge Inn, a Magnuson affiliate, is located in Ispheming, MI. Ishpeming is the home of the US National Ski Hall of Fame, Cliffs Shaft Mine Museum, and the Michigan Iron Industry Museum. Ishpeming is centrally located to many of the area's lakes, like Teal Lake and Lake Superior. Many of Ispheming's parks are located near the Jasper Ridge Inn, including the Ishpeming Playgrounds, Mother Baseball Diamond, and Al Quaal Recreation Area. Free wireless Internet access is provided to each guest, along with a complimentary continental breakfast. Each air-conditioned room is equipped with the essentials. A coffee maker are available to each guest. Each room comes with a hairdryer and an iron with an ironing board. Free local calls are available to the guests and each phone comes with data ports for those who prefer hard-wired Internet access. 1. Head east on E Division St/Ready St toward S 2nd St 1.6 mi 2. Continue onto County Rd 1.1 mi 3. Slight left onto Silver St 0.2 mi 4. Turn right onto Rail St 0.5 mi 5. Continue onto Co Rd 480 3.8 mi 6. Turn right onto M-35 S 5.8 mi 7.